In 100g of steamed potatoes, you'll find just 100 calories, no fat, no sodium, no cholesterol, and no gluten. Instead, you'll get nearly half your daily dose of vitamin C, more potassium than in a banana and plenty of vitamin B6, fibre, magnesium and antioxidants. A lot of the potato's PR problem may simply be about portion control. It seems that once we start to eat a bowl of chips or crisps, we find it impossible to stop until they are gone, and all of their salty calories have been consumed. 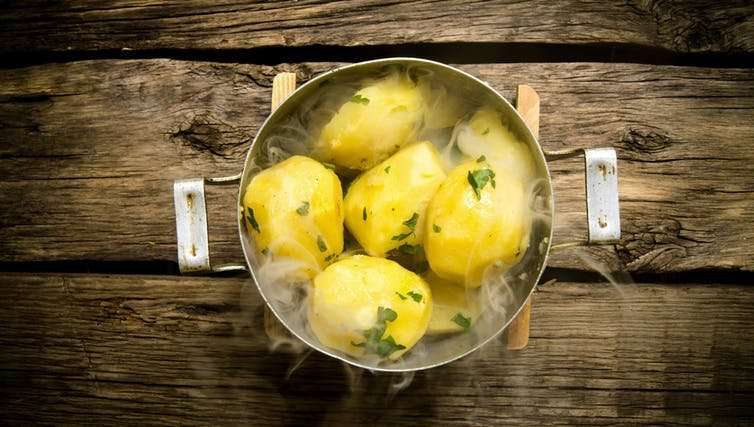 Boiled or baked potatoes on the other hand are very rarely eaten to excess.